In recent years I’ve came to realize that being organized and tidy can have therapeutic qualities. I’ve found that tidying my room when I wake up in the morning gets me ready for the day. Also, having an organized living space makes it easier to find things. I’ve never thought that I’d actually enjoy tidying up, but the feeling of comfort it creates makes it well worth it. Clutter can affect mental clarity and ability to concentrate. You can get so distracted by the stuff in front of your eyes that you lose sight of what needs to be done. Your virtual environment can get cluttered in the same way as your room. That is why it’s important to eliminate the unnecessary. • Browsing your folders won’t feel like searching for a needle in a haystack and, no, the Search function doesn’t always help. • You may have forgotten about lots of your files or bookmarks which may simply lay there without any clear purpose. • Clutter is tiring and decluttering is easy. Let’s see how you can declutter your virtual space, starting right now. If the first thing you see when your operating system starts is an endless list of folders and shortcuts, you might get slightly confused and overwhelmed without knowing it. The bookmarks bar should include only the sites you use most frequently. Once you know the ones that would be most useful, bookmark them and create folders and subfolders to keep them organized. Delete every app that you no longer use. You can always reinstall if you really need it, or discover that you actually use it more often than you realized. Grab a coffee and go through all the data that you’ve stored on your hard drive, USBs, external hard drives, or cloud storage. Delete the things that you no longer use. If there are things that you’re not sure of, simply move them to an external hard drive. Organize your folders by finding a structure and category system that works best for you. Be very clear in naming the folders and documents. Avoid vague names because you’re bound to forget their meaning in a few weeks or months. Taking photos has become something usual and accessible to anyone. We’re no longer limited by having to carry cameras, and most people do it using their phones. Regardless of the place that you’ve stored your photos, try keeping only the ones that you like. You would be surprised at how much free space you’ll gain and how easy it will be to find pictures when you need them. Go heavy on the unsubscribe button and get rid of any newsletter that you don’t find interesting or is just trying to sell you stuff. Keep only the few that you know provide quality content. After you’ve eliminated unwanted subscriptions, you should organize your messages by grouping them in folders or adding tags. Again, unsubscribe is the magic word. It could be unfollow or unfriend, but that depends on the social media platforms you use. Your aim is to limit the amount of useless, boring, or unwanted information that you’re fed on these channels. Each of us has our own way of using and interacting with technology. Nobody can tell you that you’re being disorganized because chaos might simply be your way of organizing things. Nevertheless, it doesn’t hurt to try something new from time to time. If you’re one of those people into chaos, you might find that information becomes easier to go through. 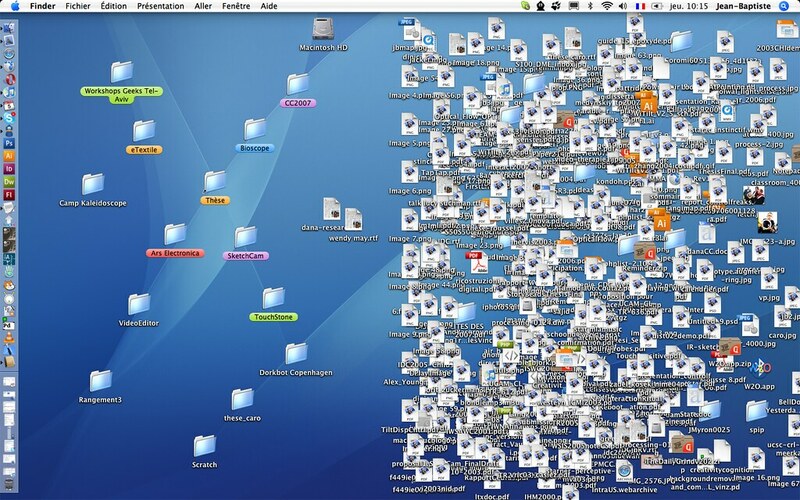 If you’re already an organized person, you know what I’m talking about. Adrian Szasz is the editor-in-chief for a music production blog called Groovehunt. Organized chaos is his thing, but he’s on the right track to becoming more meticulous in organizing his life.